. إن Angela's Beach Stays حريص على توفير الراحة للنزلاء، فلا يوفر الموظفون جهداً في تقديم أفضل الخدمات وضمان حسن الاستقبال. يمكن الاستمتاع بمجموعة من الخدمات على أعلى المستويات في الفندق كمثل واي فاي مجاني في جميع الغرف, واي فاي في المناطق العامة, صف السيارات, انتظار السيارات - متاح في الفندق, انتظار سيارات مجاني. في Angela's Beach Stays غرف نوم يزيد عددها عن 7 صممت بذوق وعناية لتوفر لك كل وسائل الراحة . بعضها يحتوي أضاً على تلفزيون بشاشة مسطحة, اتصال لاسلكي بشبكة الإنترنت (مجاني), غرف لغير المدخنين, مكيف هواء, تدفئة. كما أن مجموعة الخدمات الواسعة الموجودة في الفندق لضمان راحتك تترك لك الكثير من الخيارات لقضاء وقتك أثناء فترة إقامتك. إن كنت تتطلع إلى إقامة مريحة وهادئة في طريق المحيط العظيم - خليج أبولو، فستجد في Angela's Beach Stays بيتك الثاني. هذا العقار ليس لديه مكتب استقبال يعمل على مدار الساعة. من فضلك تأكد من تسجيل الوصول خلال ساعات الاستقبال أو قم بترتيب خيارات أخرى لتسجيل الوصول في الفندق. Staffs are not friendly, need more training on how to behave. Just one more person in our room for less then 5 minutes and they threatened to call police and ask to leave immediately. Really disappointed. Hi Tung, We treated you friendly, just like everybody else. You arrived with an extra person. There is a limit of 2 persons in the room that you booked, not 3. This is highlighted in the room description and we have legal and safety policies in place that we have to abide by. Perhaps next time you book, read the room description where you are going to book and there will be no problem. All we ask is that you are honest. Regards, Trevor & Susan. Very lovely room, clean , everything ok except Floor not fully covered by Carpet, cold during winter. Friendly and helpful host, Trevor and Susan. Introducing places of interest to us. Good WiFi. Quiet location 15 min walk from town (700-800m?) along beautiful beach track. Great as AB was full of tourists and parking was a nightmare, but this would be a problem for anyone unable to walk the distance. 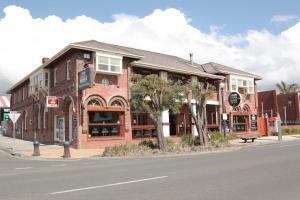 My partner and I stayed here for one night while travelling the Great Ocean Road. Our hosts were polite, welcoming and helpful and the accommodation was clean, comfortable and in a great location. We loved our stay and would have easily spent more time there. We were only in the area for two nights. Location was great. Close to centre of town but quiet. Only thing to improve would be to add some cutlery...fork and knife. Good to have washing area/ toilet outside of the room . Couple BUT brother and sister, NOT spousess ! Owners have not been helpful at all. I had an emergency and needed to check out after 1 day of our 2 nights booking. Request not accommodated by the owner of the guesthouse. Otherwise, both husband and wife were polite and courteous. Incidently, our room was the only one occupied on the night of the 8th May. There were no guests in any other room. Convenient location, clean modern room. Would recommend for friends and familys.. Perfect for what we needed. Balcony, TV, full bathroom and fridge were great features. It did get quite stuffy during the night and I found it harder to sleep. Otherwise good. Both Trevor and Susan were very friendly and helpful before and throughout our stay. They have been very kind to assist me to find out more info about my 14KM paradise run, receive my racepack and came to info center to pick us up and sent our luggages to info center. They have recommended the Marriner Lookout to us which we enjoyed very much. I would recommend this hotel to all others. Not complying ..and not suitable for Family travel with Children..Kitchenware Not available ..
We had a wonderful stay at Angela's Guest House. From the moment we arrived we felt welcomed and at home. Angela took the time to have a chat with us and was so lovely. Our room was spacious and had everything you would expect and more from a hotel room. It was the cleanest room I have ever stayed in. When we were about to visit the Otoway Tree Top Walk Dennis kindly lent us his personal map and he made sure we had the right directions. 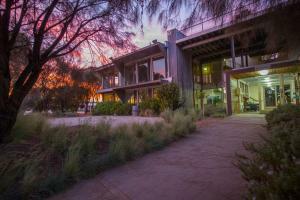 I would recommend this guest house to friendly people who like to meet local people and have a relaxing weekend away. On the other hand if you are one of those ridiculous people who write reviews about the fact that there was no cutlery (in a hotel room when there never is) then save everyone the trouble and stay somewhere else because these people do not deserve the hassles. Thank you for a lovely stay! We booked a family room with one queen sized bed and 2 singles. Room was huge with a sofa set, dining table for 4, an outdoor deck and even a cool mantle. Bedding was a little old but still comfortable. The only drawback with the beds was that they were on rollers. So every time you shifted the bed rolled a bit. There was no hair dryer so you have to bring your own. 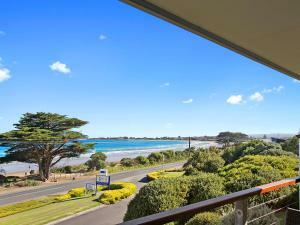 Easy access to the beaches of Apollo Bay... You can literally walk a min or two to get to the beach. It's also within walking distance of the main part of town where u can get groceries and food. Staff was courteous and helpful.